The post-geomagnetic disaster game The Long Dark is all about surviving the worst that Mother Nature can throw at you. Which, to be clear, is quite a lot, and all of it pretty awful; I don't think you can really appreciate just how badly this planet wants to kill everyone on it until you strip away the veneer of civilization that keeps us warm, sheltered, and conveniently fed. But soon that freeform fight to stay alive will take a turn into the realm of the narrative, where the name of the game is to survive... as someone else! Two someone elses, actually, they being bush pilot Will Mackenzie, who may be the most Canadian video game character ever created, and doctor Astrid Greenwood. Their struggle to maintain the flame of life will be documented in an episodic Story Mode in which players will alternate between the two of them, viewing the story from both perspectives. Story Mode gameplay is "derived from" the Sandbox mode, developer Hinterland Games explained, but will be modified to accommodate narrative-based gameplay, with a progress-based save system in place of the current permadeath setup. The release of Story Mode won't mean the end of The Long Dark Sandbox, though. "Our original plan with Sandbox was to use it solely as a gameplay test-bed for Story Mode, and shut it down at launch," studio founder Raphael van Lierop said. "We’ve discovered that Sandbox offers a completely different experience, highly beloved by our players, and it deserves to continue to exist in its own right. So we plan to continue updating Sandbox with more features and content, expanding the foundation of our core exploration-survival experience, in parallel with our work on Story Mode." 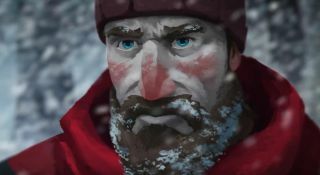 The first episode of the first season of The Long Dark Story Mode will be out in the spring, with two to three more episodes expected to release over the course of 2016, totaling an estimated 10-12 hours of gameplay. When Story Mode launches (which will also mark The Long Dark's exit from Early Access) the current $20 price will be increased "to reflect the game’s enhanced content value after more than a year of polish and content updates, plus the addition of Season One Story Mode content." What it will go up to wasn't announced. All Kickstarter backers and Early Access purchasers will receive the first season automatically, at no extra charge.